Explore a world corrupted by dark creatures in order to find your father, who has gone missing. Tale of Maledict is an action adventure game created by Hugo Desmeules, with some choices to make along the path and bosses to defeat, such as a witch and a huge snail. The game world is mysterious and our character is capable of attacking the terrible creatures, but also of using a particular ability (warp) to leave a copy of his body for a few seconds and reappear at that place. 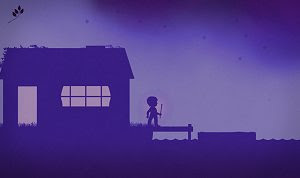 There is a pleasant aesthetic to the game, clearly inspired by the acclaimed Limbo game from Playdead, but Tale of Maledict places some shades of color in the silhouettes that make the game. Animations could do with a little more work – particularly the attack animation with the stick – but overall the atmosphere is beautiful, sometimes oppressive. The haunting music is both stunning and chilling and adds to the experience.